How most webmasters are doing the SEO wrong way? The steps you need to take to improve your website traffic! It is actually very simple to do SEO if you do not know how to do it properly. The problem that most webmasters face while optimizing their website/blog is that they are to meet certainly specified timeline to achieve a set of targets, and in doing so, they would often skip the quality consideration bit. This ends up in unethical techniques and then a permanent ban of a website, even though the site might achieve some results. The results in SEO ecosystem are interlinked and if you are not meeting a specific timeline to achieve a result, you are skipping on another part. This dilemma is generating a lot of chaos and bad techniques. With this blog, we are trying to cover a few important things such as which bad practices are affecting the search engine optimization world and how to stop the issues. Read on! If you have any ideas as to how to improve the blog post, or if you have any suggestions to improve, please share with us. Before we get to understand which measures are being done wrong way, we need to understand the techniques that give rise to stooping to the unethical SEO practices. There are a good number of ways webmasters are doing SEO the wrong way. We are listing the points and then we are gradually elaborating on the points. Read line by line, and if you are webmasters and think you have any ideas to add to it, we have told you what to do. There is a range of things that require being understood when it comes to pinpointing the core things that as an SEO what you need to worry about doing.But we will primarily focus on these core points since it gives you an understanding of how SEO is evolving and that how you can do it well. There are other things as well, in this post, we will talk about how to improve your website SEO. Then we will talk about how to improve the website traffic. Today’s post is divided into two parts, one – how to generate good traffic by understanding how to do SEO. 2 How to write good content for your SEO? Commenting on blogs and articles which are related to your niche is a good idea and has long been proven to be a good off page SEO techniques. Commenting on blogs usually generate a lot of links and that you can hopefully work around key metrics to improve the on-page SEO and traffic to your website. But quite often it has been seen that webmasters in order to get any number of backlinks and traffic just start posting a comment on any websites that is of any niche. When a user reads the entry of a post and then the comments, by looking at the comments anyone can understand that it is fake and that it has been given only to add links. Some bloggers usually maintain a tough stand against such comments and delete these. So, it is very important that you do not comment on just anywhere. Instead, write like a natural reader. Add a link is genuine, but you can sound to be as a reality than a bot. You need to be simple and detailed yet action-oriented and organic while posting a comment. So, posting a natural comment without having to add any link is important although if you need to add any link, you can add but staying simple. Submitting articles to article websites is one of the oldest tips that has been done since quite a few days, but if you are doing it wrong, it is wrong. In order to improve your SEO, and organic results, you need to first articulate the good article marketing websites. After you are done submitting your website and then you are writing about articles, it is of improved thing. But if you are submitting your article on just anywhere even if bad article marketing sites, you are actually improving the status and traffic of website, rather than your own website. 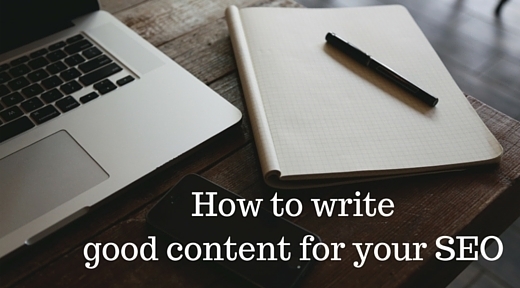 So, it is important that if you are writing really good content, save it for your own blog. If you are to submit your articles elsewhere, such as article websites, post on good article websites. If you are working on social media, you are actually saving your time, effort. But if you are just using it the wrong way, you are not actually adding to any values. Social media is one of the off page SEO techniques that can help your traffic and sales. But if you are using it for manipulation, it needs to be simplified.Some webmasters are buying fake users on social media but when they are posting an article or post, it is not being of use properly. Fake interest does not give any values if you are actually defined about your objectives. Generating social media happening needs to be simple. Rather than buying social users be logical and natural. And rather than asking people to like your post, build a reader base that likes your content and then happily works around it. When it comes to generating an improved variety of articles and posts, such as submitting your content on directory submission sites, you need to be articulate about it. Rather than posting any type of content anywhere, you need to be. submission helps a website’s rank but if you are submitting your website to any number article, sites then it is important that you submit it to high PR directory. If your content marketing skill is good, nice! You can improve your website’s traffic and sales. But if your content marketing skills are bad, you are not going to get the benefits. If you are posting your content on niche websites only to have links without having to work around the basics, it is not going to get you proper results. So, before you start to do content marketing for your website, it is important that you have a proper list of websites you want your content to be posted, after that you can generically work around improved measures. So, it has become important for you to market your content on niche sites, after comparing the sites. Content marketing needs to be defined and that before logically work the key highlights, you need to be defined and that rather than posting anywhere, post logically. These are some of the improved means to help you stay totally vital to content marketing. Before you work around some of the ways to culturally improve your SERP. Before we work around in other forms of content, we are trying to cover another article – how to ensure that you write content that goes according to SEO. That’s more about how the content works. 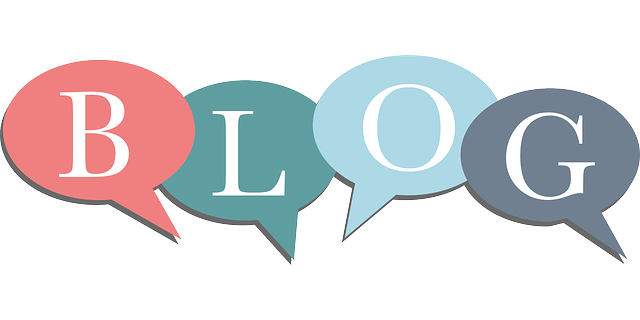 We in this post will cover some of the improved tips about how to improve blog content. The different types of content and marketing tips and the variety of ways in which a content is written and generated depends on a range thing. Before you work with the improved variety of issues that you want to generate, you need to think about how to write good content that ranks. There is some good variety of ways through which you can improve your website. There are a good number of things that you need to work on, before deciding about the tricks. How to write good content for your SEO? Most SEO content writers usually end up developing websites that do not really work. Instead, they would write about anything to get traffic and then work around popularizing the facts that do not necessarily work. To help your website get ranked and that to help your website avail of traffic you need to understand the ecosystem of the world. The SEO industry works because of quality content. If your website is not populated with a proper variety of good content and that if you can work on improved things, your website ranks. To improve your website rank well, you need to ensure that your website is populated well. The means by which you improve your website usability is that you need to ensure that you have researched proper keywords, you have worked with clients who are of your niche, and that you have been working with clients with a trusted record. To rank well, you need to use your content sites. To ensure that your website is being ranked. A good website populated with useful content needs to be written in a timely manner. Before working with some of the projects, you need to understand how the project of content writing works. The competitors are doing and how the competitors are working out when it comes to publishing good content. If you are doing well in your industry and that if you understand the crucial facts popularizing your website, you can stay ahead of the competition. A good content marketing campaign did for a website usually has a number of things to do. A good campaign needs to be done so that your website improves. When you write some improved variety of post on your website you need to be factual about what to publish. The core attribute that you need to understand before writing for a website is that your ideas need to be clear. And that you should research proper audience. If you are unsure about what you are posting and how you are posting, your content campaign need not be active. Before you start working on a website – means if you want to develop content for your website depending on the number of work ratio and proper website differentiation you need to be ensured about how to publish the content architecture. Today’s content marketing world is changing and that person is concerned about publishing an improved variety of websites. Today brands are still working out with a number of means. In order for your website to rank, you need to ensure that your website has good content and that it has been written according to stats. Before you start to wring content for your website, you need to understand the fact that a website usually ranks well depending on a fact that if written as per the site, it acts. So, before you start working on your SEO and content marketing, you need to understand how things work. A good website usually has a number depending that if the website ranks. These are facts that have a decisive fact about the site. We hope you liked the article written. The crux of the story is that if your content and SEO are good, you can positively improve your website. If your website content is not of value, your website is not going to earn traffic.To have a good website, keep reading!